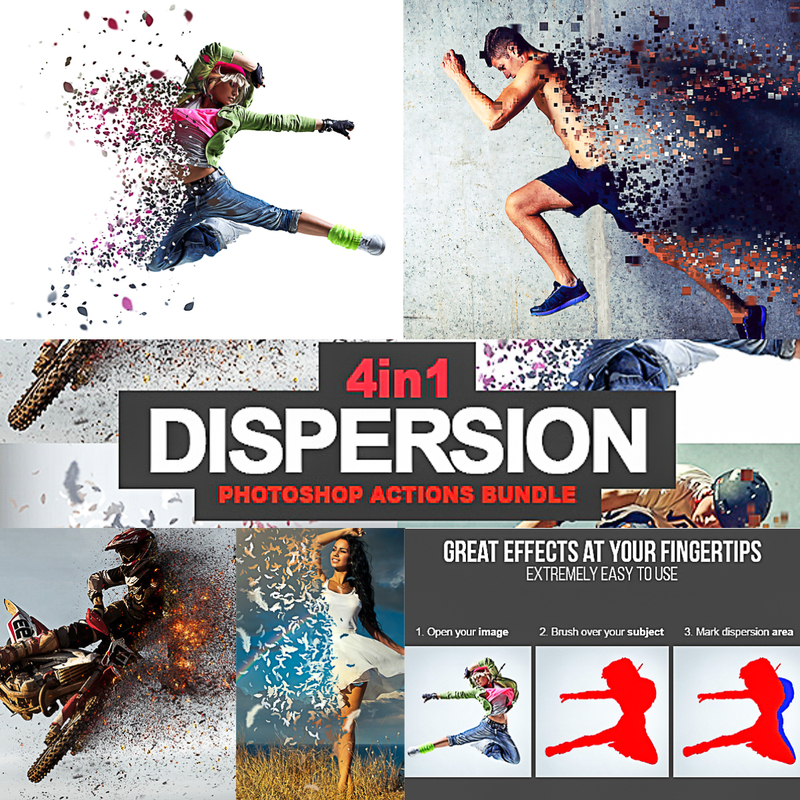 Create explosive dispersions from your photos in just few minutes with this great economic action bundle. Its super easy to use and save yourself hours of work. Final composition is fully layered. Lots of effects and customization. Mix different styles to create your own stunning composition. File format: .abr, .atn for Photoshop or other software. Tags: action, art, artist, artistic, ashes, cinematic, destroy, digital, direction, disperse, dispersion, embers, feather, fire, petal, photoshop action, pixel, realistic, scatter, smoke, special.